Hey Le Bella Donna brides (and friends)! 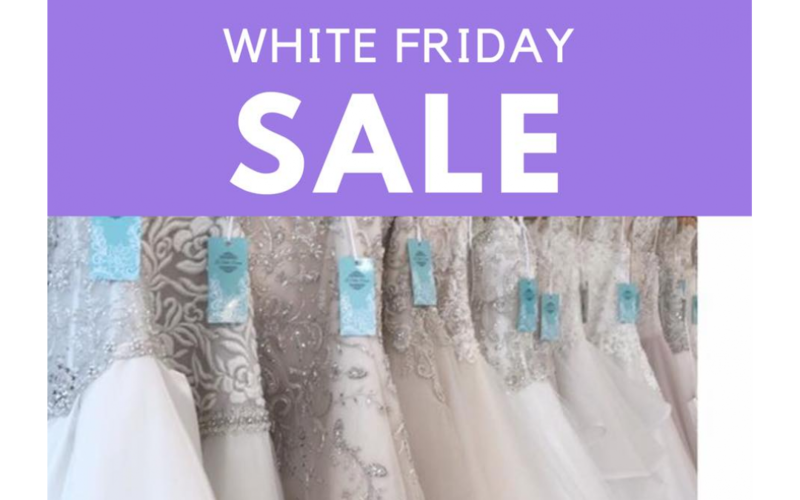 We’re joining in on the post-Turkey Day festivities this year and hosting our own White Friday sale! We’re still working out the exact details, but keep an eye out on our Facebook page on Thanksgiving Day for the announcement of this year’s deals. We hope everyone has a wonderful Thanksgiving, full of good food and better company!